MANAGES™ simplifies management of environmental data collected at coal ash management facilities, manufactured gas plant sites, and other locations where these data are regularly collected. MANAGES is a database software customized for management and interpretation of water quality, soil quality, and waste characterization data. It provides a variety of built-in reports and graphs for displaying data, comparisons to regulatory limits, trend analyses, and statistical evaluation. The comprehensive statistical package in MANAGES includes an automated routine for running a standard suite of statistical tests as part of a groundwater monitoring program. 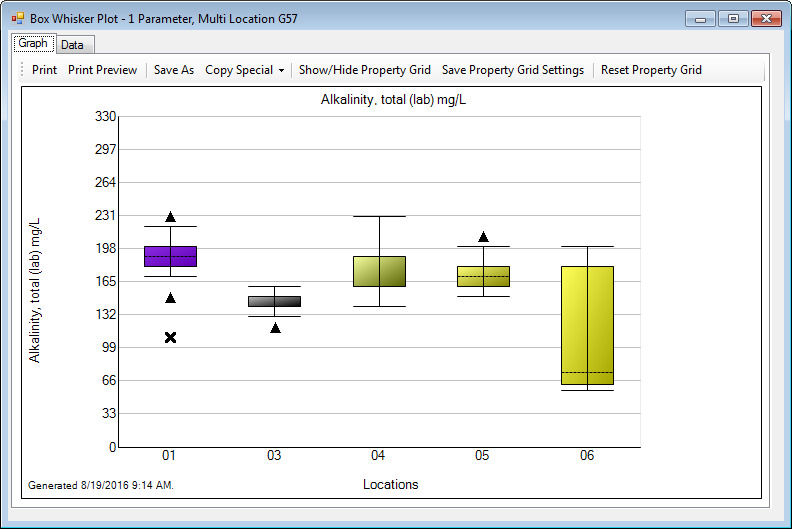 It also includes a flexible export module to extract data for use in other popular data mapping and analysis programs such as Surfer™, Rockware™ Utilities, and ArcView™. An important function of a database is to establish and maintain high quality data, free from errors. MANAGES has a powerful import module capable of reading data from most databases, ASCII files, and Laboratory Information Management Systems (LIMS). Users can define multiple templates for customizing imports from different sources, minimizing the potential for transcription errors. To further ensure data quality, a user can utilize several data checks on import, define data limits, and calculate charge balance. Results can also be manually entered and verified, using templates that list parameters arranged to match the order of the data as reported by the laboratory. Data are stored in either an Oracle™, or Microsoft SQL Server™ relational database that ships with the program. MANAGES uses a Windows™ interface for seamless connection to the data. This interface makes it easy to cut and paste data, graphs, and reports from MANAGES directly to other Windows applications, such as word processor documents and spreadsheets. The program is designed to operate on a workstation or a LAN. For LAN use, it allows multiple users to work within a database, and features security passwords to limit unauthorized access. MANAGES complies with the requirements of the CCR Rule (40 CFR 257 subpart D) for data analysis and reporting. Statistical routines have been updated to comply with the EPA Unified Statistical Guidance. Reporting modules for detection, assessment, and corrective action monitoring have been added. MANAGES is supported by experts in the utility industry and is backed up with annual workshops and training. EPRI’s MANAGES 4.0 will assist utilities in meeting new monitoring and reporting requirements, managing data, and developing compliance strategies consistent with state and federal regulations. These capabilities benefit the public by providing timely access to accurate data and improved environmental performance at existing and new facilities.